I have admit a sneaky thing. Sometimes I like to browse the shelves of bookstores looking for new titles to read as ebooks later. Horrible right? I say this because that's how I found the book Cooked, listed under the New Fiction section of a local Chapters. 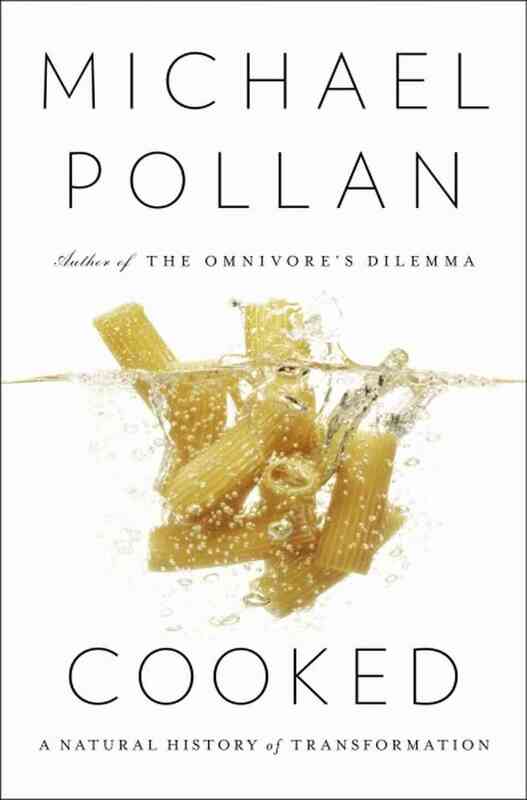 Author Michael Pollan is probably best known for his book, The Omnivore's Dilemma and he has carved out for himself a steady niche of books talking about food, culture and sustainability. In Cooked: A Natural History of Transformation, Pollan delves into the links between food and human society, hypothesizing on how cooking may be the catalyst that launched modern man. Divided into 4 chapters (Fire, Water, Earth and Air), Pollan goes into great length on cooking techniques characterized by each of the four elements. Fire cooking, like roasting, or as Pollan dives into, whole hog slow-cook BBQ, represents how man first drew into communities. Water is represented with the homespun magic of braising and serves as the metaphor for families coming together. For the last 2 elements, Pollan dives into bread making (Air) and fermentation (Earth) to hypothesize on the role these last two elements of cooking had on the evolution of man itself. Cooked started out really slow to the point where I started reading another book on the side just to spice things up a bit. Midway through the Fire section though, something changed. Maybe I just got used to Pollan's "wiser-than-thou" style of writing or his obvious upper-class privilege, or maybe the story was actually starting to wind its way into my brain. Either way, I found myself fascinated. This book changed the way I appreciated food. As a city-dweller, I have no connection to the food I eat and it was very interesting to learn about the parallels around the world in terms of cooking methods and traditions. We humans are profoundly affected by food, but nowadays we know nothing about how it gets to our table. After reading Cooked, I felt a new-found appreciation for things like crackling (BBQ'd pork skin) and a curiosity to taste what real, authentically fermented kimchi tastes like. While I've always been interested in the cooking process, this book only deepened my curiosity further. I'd say this is a worthy read for any food aficionado, or for anyone even mildly interested in the environment as it touches on both and how each of us can get back to the traditions that help our planet, help our stomachs and feed our souls. Cooked is available via Amazon. See more of my recommended reads here.